Did you know May is National Skin Cancer Awareness Month? With beach/pool season around the corner it seems fitting to bring awareness to such a relevant topic. Sunscreen is a must all year 'round but when the weather dials up a notch it's essential to get your hands on effective protection. The brand has an assortment of SPF treats that don't feel greasy and minimize that trademark "whitening" effect commonly found in other sunscreens. Many cosmetics and skin creams incorporate SPF's these days, but Skinceuticals believes in separating the two elements because combined SPF products reduce the effectiveness of sun protection. With that philosophy they do their best to provide a sunscreen for every skin need. 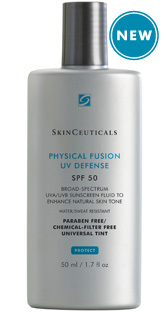 I love their Physical Fusion UV Defense SPF 50. The sheer, tinted formula is great to use under makeup. 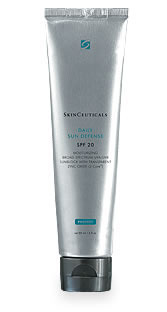 In honor of National Skin Cancer Awareness Month Skinceuticals is teaming up with the Melanoma Research Alliance (MRA). The brand is also spreading the word on their Facebook page by asking users to post videos or written testimonials on how Melanoma has affected them or someone they know. For the month of May, Skinceuticals will donate $20 to the MRA for every video uploaded and $2 for every post. 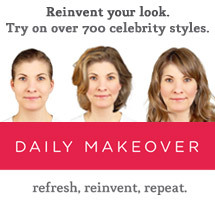 The five most inspirational videos each day will also receive a free full-size Physical Fusion UV Defense. Follow the brand on Facebook for details, after following me, of course!